The following sponsors are dedicated to having a direct impact on Americans who are blind and visually impaired by supporting USABA programs and events. To learn more about changing the lives of Americans who are blind and visually impaired through sport as a sponsor of USABA, contact Mark Lucas at mlucas@usaba.org. Vanda has served as a valuable sponsor of USABA since 2012. Vanda’s support has funded a wide array of programs including USABA’s Marathon National Championships, Goalball National Championships, development camps and more. Vanda Pharmaceuticals Inc. is a biopharmaceutical company focused on the development and commercialization of products for the treatment of central nervous system disorders, including Non-24 Sleep Wake Disorder which many people who are totally blind experience. The Gibney Family Foundation partners with U.S. Association of Blind Athletes to develop sustainable resources the foster independence for those who are blind. Through the Gibney Family Foundation, USABA has provided hundreds of youth and adults the opportunity to use sports and recreation as a means to foster greater personal independence. Most recently the Gibney Family Foundation was instrumental in the development of the USABA Goalball Center of Excellence. 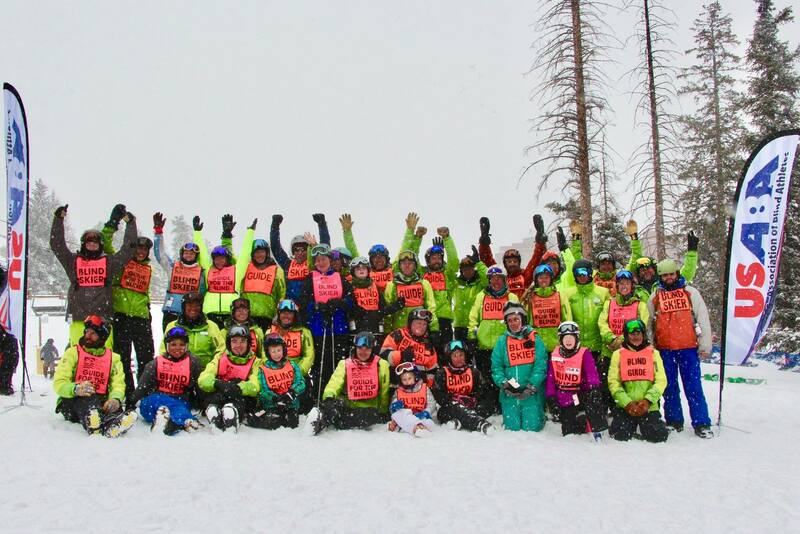 Since 2010, Anthem Life has sponsored USABA’s annual Winter Ski Camp in Breckenridge, Colorado. Through supporting this event, Anthem Life has provided skiers and snowboarders who are blind and visually impaired from across the country to develop their skills on the slopes with volunteer guides from the Breckenridge Outdoor Education Center. Anthem Life provides life and disability insurance products that are underwritten by Anthem Life Insurance Company. The Anthem Foundation has been instrumental in providing blind and visually impaired youth and adults across the nation with opportunities to engage in physical activity, sometimes for the first time, and increase their levels of activity. By providing grant funding to the U.S. Association of Blind Athletes each year, Anthem Foundation continues to support the National Fitness Challenge – an initiative in which USABA partners with agencies across the U.S. to provide sports programming for youth and adults who are blind and visually impaired to increase overall levels of physical activity in the blindness community. Hanson McClain Advisors is the current title sponsor for USABA’s National Marathon Championships held each year in conjunction with the California Marathon in Sacramento. Hanson McClain provides funding for travel, lodging, food and logistics during race weekend. 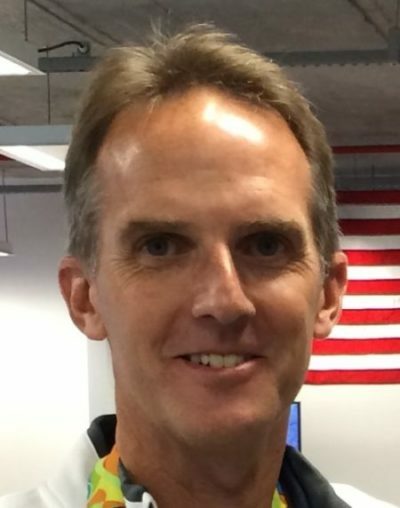 CEO Scott Hanson even serves as a guide runner! Hanson McClain Advisors is an independent investment financial advisory firm that specializes in retirement planning, investment advising, and 401(k) management. One of USABA’s longest standing funder, the Delta Gamma Foundation has cumulatively either funded or volunteered for nearly every program the past 10 years. Through their “Service for Sight” initiatives nationwide, collegians and alumnae live their motto to ‘Do Good’ and USABA is thankful for their continued support. Since 2008, the Department of Veterans Affairs has provided funding to USABA through the Grants for Adaptive Sports Programs. The grant program serves disabled Veterans and Members of the Armed Forces (ASG Program) and aims to increase and expand the quantity and quality of adaptive sport activities disabled Veterans and members of the Armed Forces have to participate in physical activity within their home communities, as well as more advanced Paralympic and adaptive sport programs at the regional and national levels. Through grant funding from the Department of Veterans Affairs, USABA is able to provide opportunities across the nation for blinded military Veterans in cycling, running, rowing, skiing and goalball. Recently, USABA partnered with the Department of Veterans Affairs to launch the Competitive and Recreational Community Sports Integration Project where Military Veterans are reimbursed for registration and travel for competitive and recreational sporting events in their local and regional communities. USABA partners with National Industries for the Blind (NIB) to help our athletes successfully find employment opportunities across the nation within the NIB network of associated agencies. With unemployment as high as 70% in the blindness community, this is a top priority for us. With 94 agencies nationwide, NIB is the nation’s leading employer of people who are blind. Career fields include manufacturing, technology, call center operations, managerial positions and more. For more information on NIB employment opportunities, contact Kevin Brousard at kbrousard@usaba.org.